After noticing some Free Condom Friday advertisements on each table in the University of Arizona’s Student Union last fall, we tried to obtain some additional information. 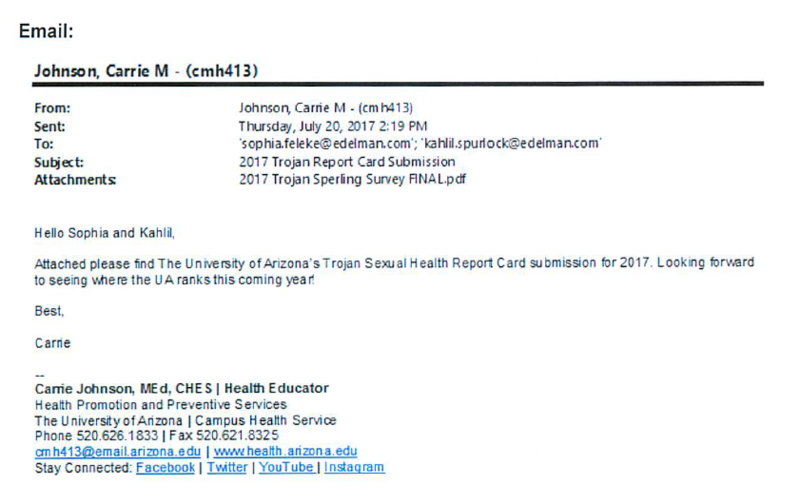 Ironically, Arizona Attorney General Mark Brnovich had also noted the extra-curricular condom activities taking place at some of Arizona’s universities; he referenced just that in a speech in January of this year. 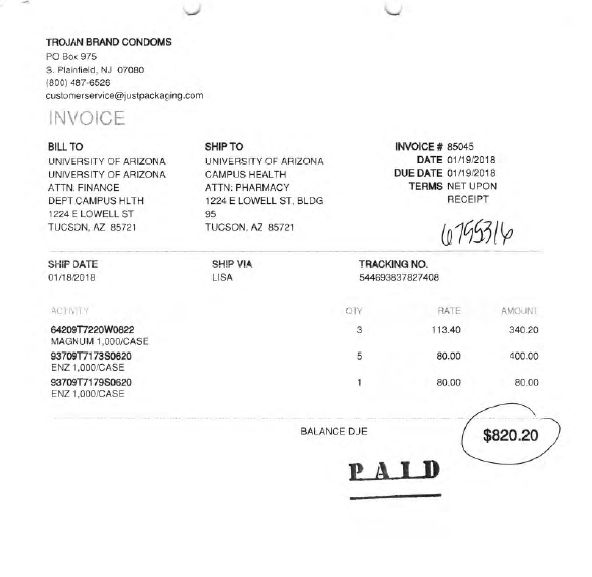 Finally, two months later we received some information from the University of Arizona. 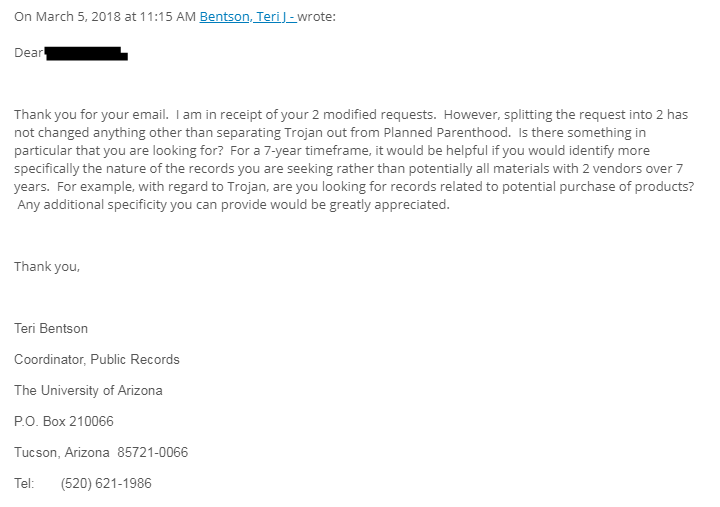 We are happy to say Planned Parenthood is not involved in providing free condoms, at least there is no paper trail. 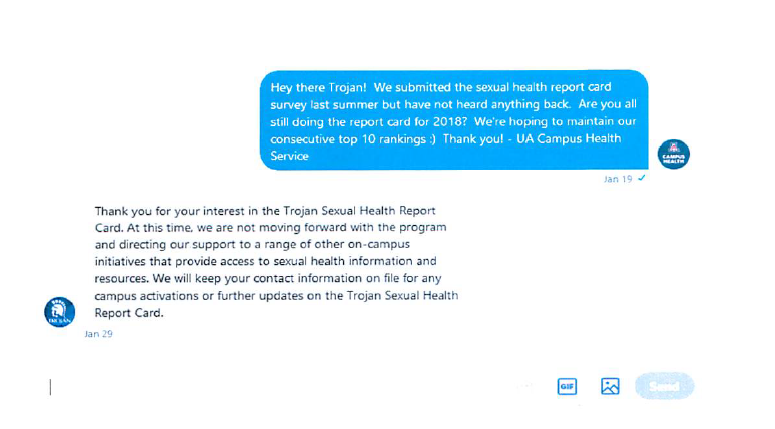 During a phone conversation with the University we were told no taxpayer money is used for the condoms. The funds to purchase condoms which are distributed at no charge to students are derived from a Student Services Fees auxiliary account. Does Free Condom Friday qualify as instructional, research, or public service activities? According to The University of Arizona, the Student Services fee for most students is $75 per semester. Of course, this is on top of ever-increasing tuition. Evidently the condoms are not as free as advertised. The description of what these fees cover is quite broad. It appears to be a huge government slush fund with little accountability to the public. The University of Arizona was founded in 1885 and the fees began in 2009. How did such a successful university manage for over 100 years without Student “Services” Fees? Let’s think about our youth for just a moment. Is there any college student who doesn’t have a cell phone? Surely there are, but not many. It is more common than not for college students to have a car at their disposal. Many travel to exotic destinations for Spring Break. Still others find the means to become exchange students and live abroad for a semester. Are there any college students without a laptop? What about body piercing or tattoos–currently all the rage? Marijuana is now legal in many states and students somehow find the money for cigarettes, alcohol, and pot. They have a pretty good life. But for some reason The University of Arizona Health Center believes these same students can’t afford a condom for Friday night fun. Or maybe they can’t find a local Walgreens or CVS to purchase condoms; either store is virtually on every busy street corner in America. In fact, there is a CVS at 825 E. University Drive, Tucson, just 712 feet west of The University of Arizona’s main gate. Carrie Hardesty Johnson, the U of A Health Center educator who doesn’t answer emails, is keen on one thing. She may not care about the 2018 football season or the newly crowned National Champion Women’s Golf program, but she is hoping for a high ranking from Trojan! There is one thing we were not able to determine from the information we received from The University of Arizona, do the helpless students have a choice between red or blue condoms?